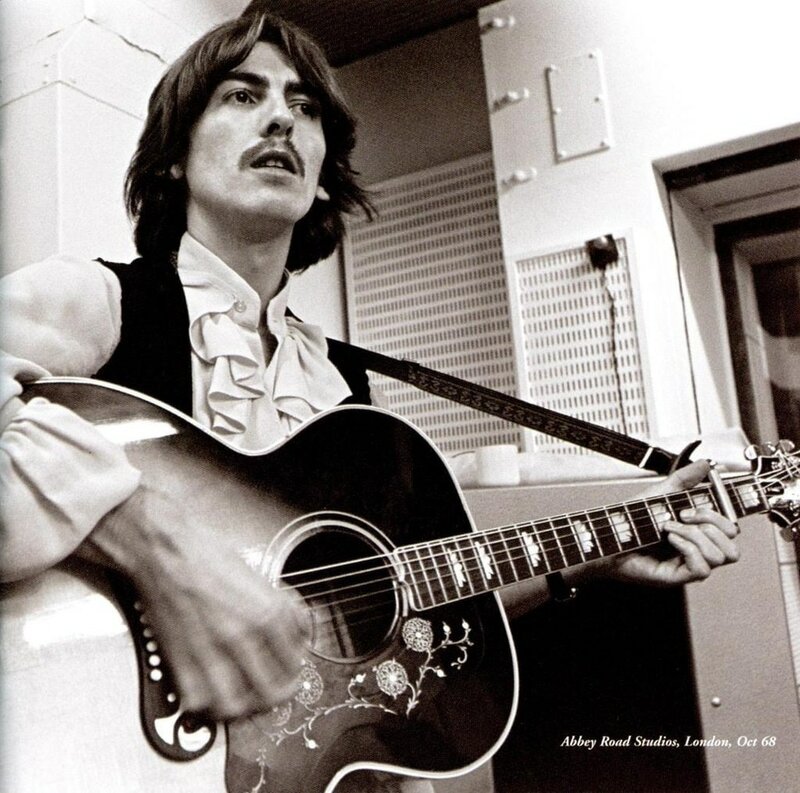 An acoustic guitar lesson on how to play "While My Guitar Gently Weeps" the Anthology version by The Beatles | George Harrison. The standard version of this song from the White Album is a total classic, but I've always really liked this version of the song as well. It's essentially a demo tape of the song but it has a certain honesty about it that I like a lot. In 2006 the legendary George Martin, along with his son Giles orchestrated the demo version for the Cirque du Soleil "Love" production, and for the 2016 tenth anniversary, they re-staged the entire show. This included making a music video for "While My Guitar Gently Weeps" that's really amazing. There are no CGI effects in it. All the illusions were done with projected images, live! Here's a link to a cool behind the scenes video of George Martin recording the string arrangement (2006) and the making of the video (2016). The original version of the song is in the key of A minor, but this version is in G minor, with the capo on the fifth fret, using D minor shapes. I really like the intro. I'm sure George would have played a bit different every time, but this take has some really nice parts that I go over in detail in the lesson. The ending is also different and quite pretty as well. If you're playing this by yourself, this is probably the version you'll want to use. It's not too tough and sounds really great.